TEHRAN: Iranians held rallies on Friday to condemn US withdrawal from 2015 international nuclear deal. In the capital Tehran, thousands of people marched on the streets after Friday prayers chanting anti-US slogans and singing anti-Trump notes. 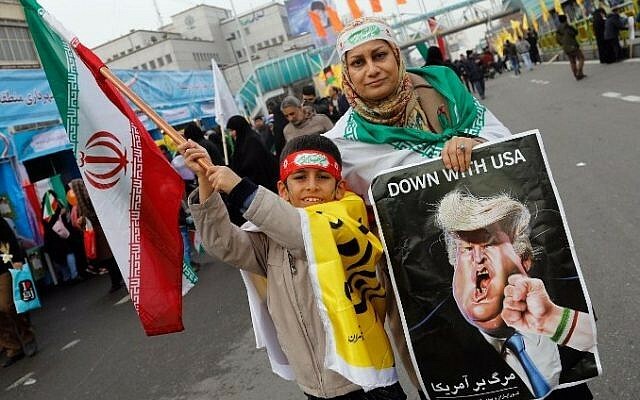 They also shouted slogans against Israel and Saudi Arabia, who, they believed, sympathized with the US President Donald Trump’s anti-Iran rhetoric. The ralliers in Tehran issued statement whereby they vowed to withstand the US pressures and adhere ardently to the ideals of the Islamic establishment. On Tuesday, Trump announced US withdrawal from the international Iranian nuclear deal, saying that Washington will not extend the waiver for the unilateral sanctions against Iran. The move by the US president sparked international discontent.